As the chilly weather sets in it's time to start thinking about how to prep your fleets for the frigid temperatures to come. There are several areas of your trucks that need to be winterized and prepped to withstand the cold temperatures. What's more, depending on the geographical reach of your fleet, you could need to prep for several different climates across the U.S. Since your trucks are running every day, all day, it can be hard to find time to perform the preventative maintenance needed and to make sure you check every box on your to do list. Use the following list of the fivefleet winterizing must do's to guide your seasonal maintenance. 1. Prepare a Plan. Instead of relying on rare downtime to perform winterizing techniques, create an all-encompassing plan for your seasonal maintenance including precise timing of the maintenance and the services needed. Make sure all products needed are in stock and ready to go. 2. Use Winterized Fuel. By winterizing your trucks' fuel, you will greatly increase the performance of your diesel engines. 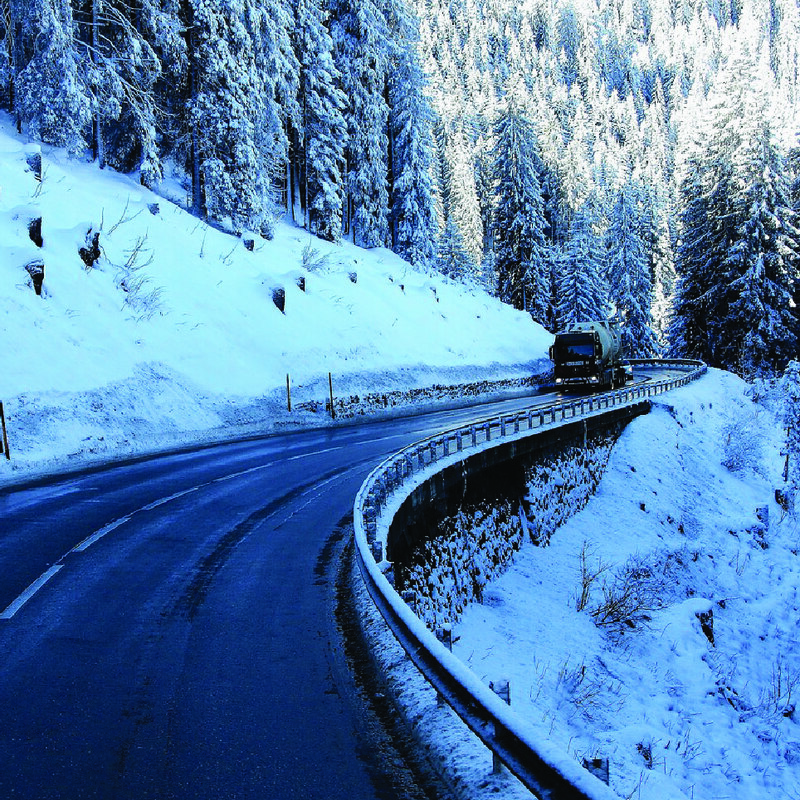 Winterized fuel improves cold starting and reduces the rate that diesel gels. With your fuel economy decreasing in the winter weather, it makes sense to do what you can not only to save unexpected maintenance costs on unwinterized fuel issues, but also fueling costs. 3. Optimize Your Lubricants. Not all oils are equipped to operate at the same capacity in various temperatures. By investing in full synthetics and other cold weather optimized fluids, you can ensure your equipment operates no matter how cold the season turns. As the leaves fall and the chill in the air becomes breathtaking, your fleet depends on you. By taking the appropriate steps, you will keep your trucks running, increase your haul and delivery capabilities, and decrease your unexpected maintenance costs. 4. Inspect and/or replace tires. Balding tires are a huge safety issue in the winter. With the heavy hauls that your fleets are carrying and the high mileage, adding balding tires to the mix is an accident waiting to happen. Invest in new, winter tires for optimum traction and safety during the winter months. 5. Test Heating System. Make sure your drivers are safe and comfortable in the cold by ensuring that the heating system in the truck cab is working properly. Not only is this important for your drivers' comfort, but windshield defrosting by the heating system is pivotal in the cold, frosty weather. Managing your fleet is hard work. With the proper maintenance checklist and schedule, you will ensure a prosperous and safe winter season. For information on how RelaDyne can help serve your fleet needs, visit our commercial page, here.